ARRIVE 20-30 MINUTES EARLIER than your boarding time especially if you are travelling with young children or elderly. KLIA2 is huge. The WALKING TIME from the departure hall to the furthest boarding gate is 15 to 30 minutes. Having to run to catch your flight is no fun. Sign board showing 10 minutes of walking from security checkpoint to domestic J gates and 20 minutes of walking time for domestic gates K. International gates are 10 minutes further across the sky bridge. 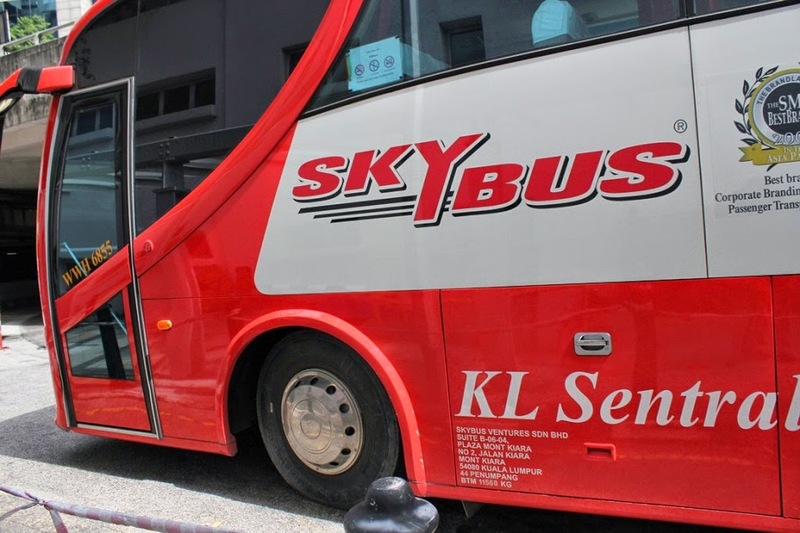 Airasia and Airasia X have announced that effective 9 May 2014, all flights counter will be opened three (3) hours before the departure time, and will be closed one (1) hour before the departure time. 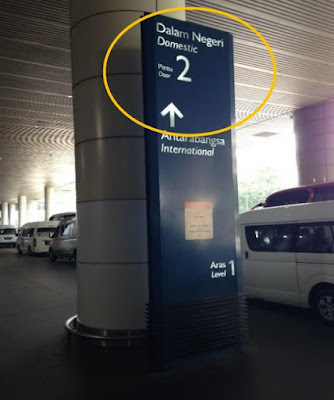 You certainly do not want to miss your flight at KLIA2. If you haven't been to KLIA2 before, it is definitely worth it to arrive earlier than your departure time. There are a lot of nice eateries and retail outlets await your visit. Upon arriving at KLIA 2 for departure, you will be greeted with the huge KLIA 2 Gateway shopping mall with a wide selection of of restaurants, brand outlets, money changers / banks. You have to walk pass this Gateway shopping mall to arrive at the KLIA 2 Departure Hall. 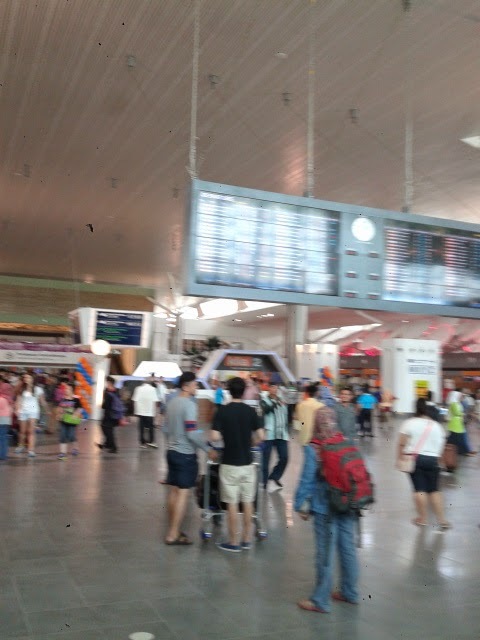 Upon entering at the departure hall, you will be able to check your check-in or baggage drop drop counter through the large electronic flight departure information board. All flights departing in 3 hours to 4 hours time are on this board. In total, there are eight rows of check-in counters / baggage drop counters. The queue for baggage drop is similar to LCCT. The Departure Hall of KLIA 2 is as large as KLIA. There are 8 rows of check-in / baggage drop counters. You can find out from this board on where is the check-in or baggage drop counter of your flight. 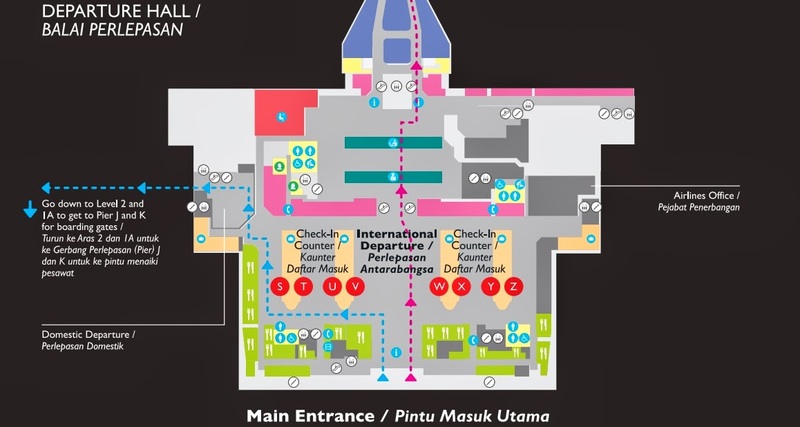 Map of KLIA2 Departure Hall. Follow the blue line for domestic departure and red line for international departure. Upon entering the departure hall of KLIA2, on the left of the departure hall is check-in counters / baggage drop counters row S, T, U, V and on the right of the departure hall is check-in counters / baggage drop counters rows W, X, Y, Z. 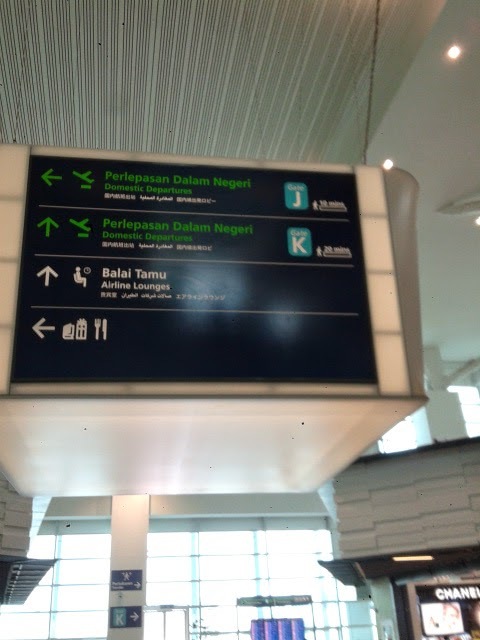 Departing from KLIA2 should be as easy as any other airport. Just a word of caution to those taking the domestic flights, the distance to your departure gate is no longer a few steps away. Arrive earlier and be prepared for a bit of walking. KLIA2 is designed to be the next generation hub for low cost carriers. It is definitely more than just low cost air terminal. In fact you will be pleasantly surprised with all the facilities and the contemporary dinning, shopping and travelling experience that KLIA2 offers, so much so that you will forget the fact that you are departing from a low cost terminal. Those are 2 separated flights, not flight-thru. I have a small backpack btw. Could you please give me guidance to move around as well as steps needed to catch the second flight? I'm afraid of missing the second flight because there is only 2 hours between.